As a big taco and bean bowl fan, both frequently find their way onto my menu since it can be prepared with practically any protein and veggies of choice. For my wild rice and black bean bowls this go round, I wanted some fresh mango pico de gallo. 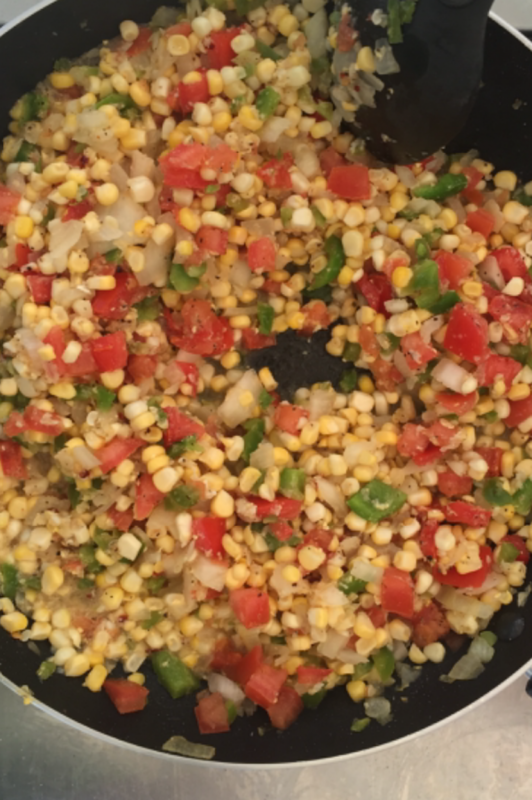 Since I made a large quantity, I knew I could also blend leftovers with a couple additional ingredients for salsa. The salsa of course is great with chips, but is an easy way to get in extra servings of vegetables by dipping carrots, jicama sticks or broccoli for some added crunch packed with nutrients. Check out the recipes for both below. Rinse all fruit and peppers well. Peel mango by cutting off each end and standing it up to cut away skin. Cut off mango around pitted center. (Think of cutting peach slices from around the core.) Dice mango small. Peel and dice onion. Slice jalepeno in half longwise and remove seeds if preferred before dicing. Add to a medium bowl. Dice tomato and add to bowl. Cut lime in half and squeeze juice over mixture. Mix well and salt and pepper to taste. Rinse all fruit, herbs and peppers well. Peel and dice onion. Slice jalepeno in half longwise and remove seeds if preferred. Cut tomato into fourths and add all ingredients into a blender. Blend until smooth or fine. Hello. Thank you for sharing these recipe’s as I have been looking. Look forward to reading more of your recipe’s.